The Goshen Water & Sewer Department has been monitoring the frost depth continuously to determine whether to issue a freeze warning. Their most recent reading did not indicate a risk of the frost penetrating deep enough to affect the City’s water lines. However, frozen water pipes are still a risk for many. Homeowners are encouraged to take further precautions by insuring that any exposed pipes are insulated, and by eliminating sources of cold air near water lines. Areas most vulnerable to freezing are basements, crawl spaces, unheated rooms and water lines located in outside walls. Locate the main line that supplies water to the house. This may be located in the basement or crawlspace. Determine whether the line runs along an exterior wall. Its exposure to cold may be the cause for the lack of water — the pipe may be frozen. Leave a faucet open in the kitchen or bathroom. Use a blow dryer on the “hot air” setting to blow hot air directly onto the pipe. It may take a minute or so for the ice to thaw. Check the faucet that was left open to see if there is water running. Do not use an open flame, as it could damage the pipe, pipe joints and could result in a fire. If the pipe thaws, leave water running in a small stream the size of a pencil lead, at a single cold-water faucet—running water is less likely to freeze. 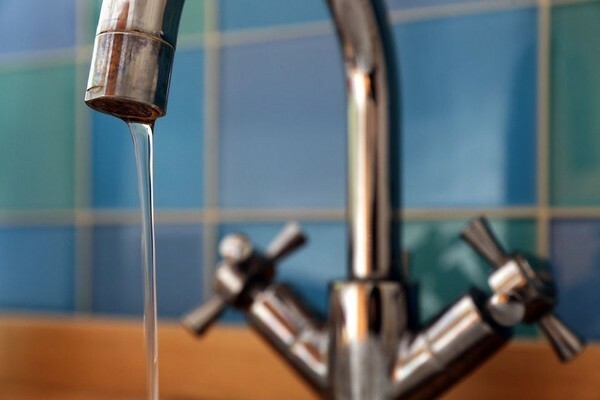 If, after several minutes, you still have no water, call the Water Department at 534.5306. Check the City of Goshen online and on its Facebook page for updates on freeze warnings. This entry was posted in Blog on January 30, 2019 by Sharon.